Very special thanks for the first photo of the Bluefin fangblenny to Dr. Gerry R. Allen. 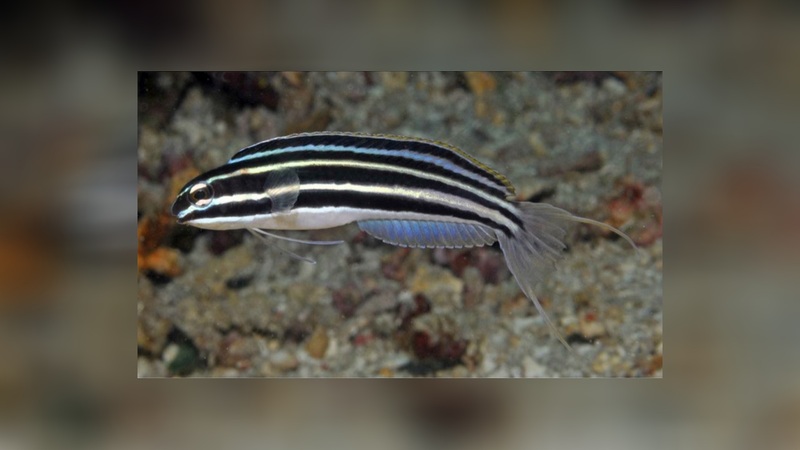 Meiacanthus cyanopterus is a new striking species of fang blenny with bold black and white longitudinal stripes running from the very tip of the snout to the base of the caudal fin. Meiacanthus cyanopterus was collected at Alor Strait near Pura Island Island Indonesia – this species was collected in relatively deep water between 40 and 65 meters. This species was observed by Mark Erdmann at Tulamben, off the north coast of Bali.